A second half comeback from Watford saw them leave South London with all three points. Crystal Palace wait for a home win goes on as they were beaten 2-1 by Javi Gracia's Watford. Craig Cathcart scored at both ends of the field before substitute Tom Cleverley bagged the winner on a cold afternoon in South London. Watford were on the front foot right from the stuff and had two brilliant chances right at the start of the game. The first game through Gerard Deulofeu, as the Spaniard, danced his way into the box but his driven effort at goal came back off the post, only for Roberto Pereyra's follow up to also hit the post and was cleared away by Palace. After Watford's early pressure, Palace enjoyed much more of the ball but were struggling to find a way through the stubborn Hornet's defence in the early stages of the game. As the first half wore on, there was a real lack of any clear cut chances for either side, as both defences were standing firm and not allowing a single yard of space for the attackers. Watford did have half a chance, when there was a mix up in the Palace defence and Mamadou Sakho sliced a clearance which really could have gone anywhere but it thankfully went safely behind. The resulting corner was really well dealt with by Vicente Guaita. Troy Deeney did come close to opening the scoring when a ball was floated over from the left but he was unable to get his downward header on target. 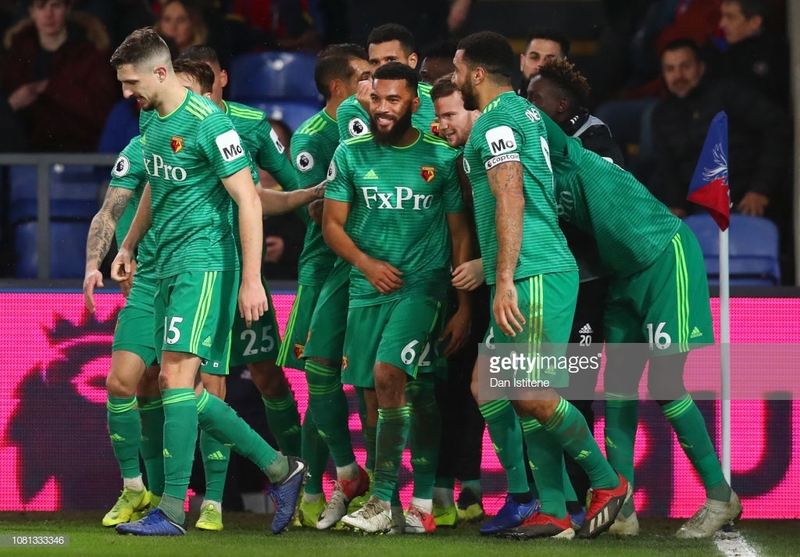 Palace did take the lead seven minutes before half time through an own goal A corner swung in from the right caused absolute pandemonium in the Watford box and the ball was eventually deflected in off of Craig Cathcart from a goal line clearance. Palace keeper Guaita went off injured on the stroke of half-time with a suspected shoulder injury. He was replaced by Welsh keeper Wayne Hennessey. 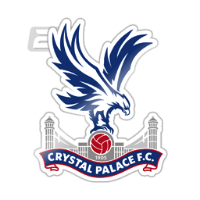 The Eagles did squeeze in one more chance before the break, as the ball broke for Luka Milivojevic whose thunderous effort hit about three Watford defenders and almost wrongfooted Foster, but the former England no.1 was able to gather the ball. The second half started in very much the way the first ended. Both teams struggled to break through the respective defences and create any meaningful chances. Palace almost made it 2-0, just after the hour mark as Milivojevic chested it down about 30 yards out and hit a venomous volley, but it was spectacularly saved by Foster. Watford did get an equaliser in the 67th minute and Cathcart redeemed himself here. Another corner goal, this time it was swung in from the left and it went all the way to the back post, where Cathcart was able to put it past Hennessey. Palace had a golden chance to retake the lead just minutes later. Wilfred Zaha put the ball across the goal line hoping for a touch but James McArthur came closest as the ball went under his leg and behind. Deeney then had a chance at the other end but his effort was superbly cleared off of the line by Sakho. Watford completed the comeback on 76 minutes when yet another corner led to another goal. This time the ball fell kindly to substitute Tom Cleverley. The former Manchester United man, volleyed it sweetly right into the top corner. Palace did try late on to find an equaliser but to no avail, due to how good Watford were in defence. Palace have now gone a month without a home win, which will deeply concern manager Roy Hodgson. A team in Palace's position should be making their home ground a fortress and maybe pick up a few points on the road also. The Eagles are doing the opposite. They picked up excellent wins over Manchester City and Wolves over the festive period but have been unable to transfer these great away performances to their home games which is a major concern. Watford's early season form showing again? Watford started this season superbly but fell away in the latter Autumn months. 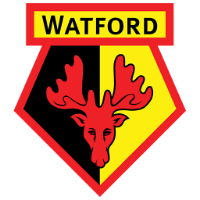 Over the festive period though Watford have become incredibly tricky customers on the road and now they have stretched their unbeaten away record to five matches in all competitions, which is mightily impressive. The former England no.1 was superb throughout the game and was in contention for Man of the Match again. An award which Vavel.com, awarded him for his performance in the win at West Ham just before Christmas. Foster made superb save after superb save and really helped the Hornets record yet another win on the road this season. The pantomime villain today but the Northern Irishman is fully deserving of the Man of the Match award. Defending was key throughout the first half and Watford really did limit Palace to very few clear cut chances. Cathcart could do nothing about scoring an own goal as the ball was just smacked right at him but the way he took his goal was superb. As we saw earlier in the season against Tottenham, Cathcart is a major threat at set pieces and he proved his prowess today.